The Girl Who Decided to GO FOR IT! Feeling a little nudge of inspiration, Hannah went to her mom that day and told her that she had decided to try out for a rowing team. She wanted to go for it. The next week, Hannah came to Girl Fit for a Wellness Visit and gait evaluation. 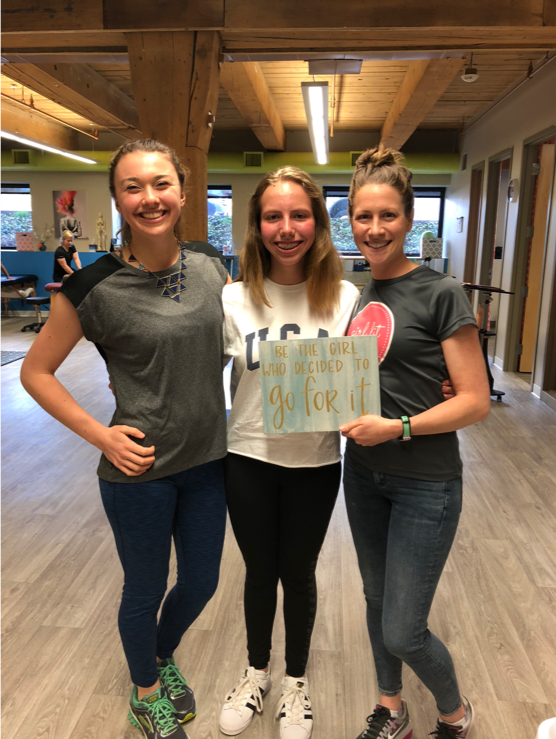 We checked her strength, flexibility, balance, body mechanics, and gait and Hannah told us all of the fitness requirements on which she would be tested for her tryout. Instead of trying to crank out sit ups and push ups each night and risking getting injured while prepping for her tryout, we developed a well rounded and safe strength and flexibility program for Hannah. She came to work out at the Girl Fit Studio 3 days a week and performed her home exercise program another 3 days a week for 6 weeks to prepare for the tryouts. She went in feeling confident and prepared… and she crushed her tryout! Hannah was the YOUNGEST GIRL to make the rowing team and she is LOVING her new sport. We’re so proud of her and feel really lucky that we got to help her follow her dreams.